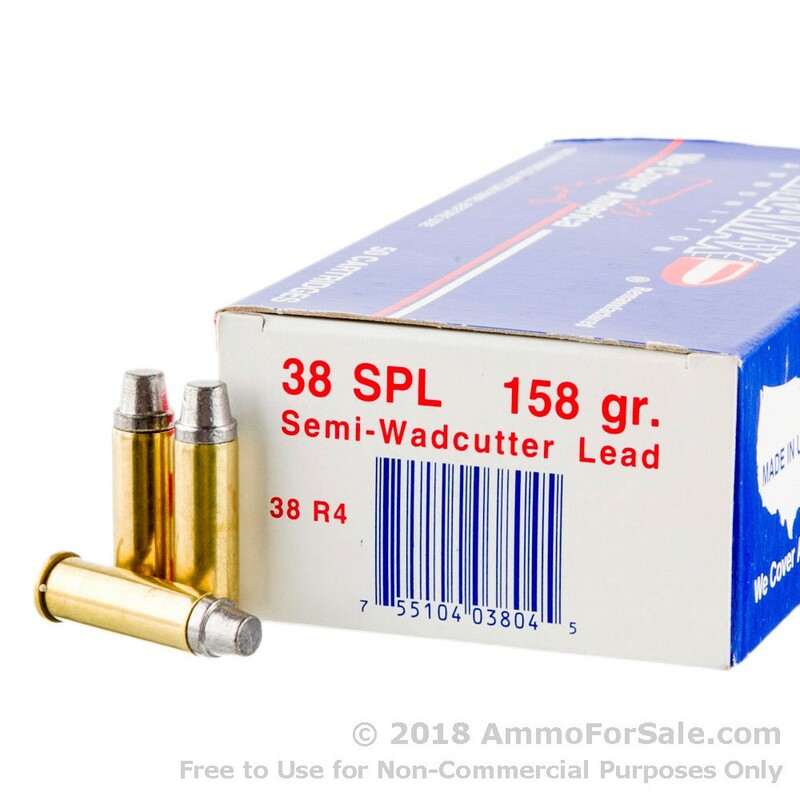 There are a variety of choices available for feeding your .38 Special, and one not always thought of I the wadcutter, or, in this case, semi-wadcutter. This ammunition is LSWC – Lead Semi-Wadcutter – and is a nice choice for target practice. They punch a nice, clean hole in paper targets, allowing for more accurate scoring, and have a reputation for maintaining accuracy at distances over 100 yards away, which is fairly unique for the cartridge. At 158 grain these are medium-weight rounds, which is a nice middle ground for target practice. 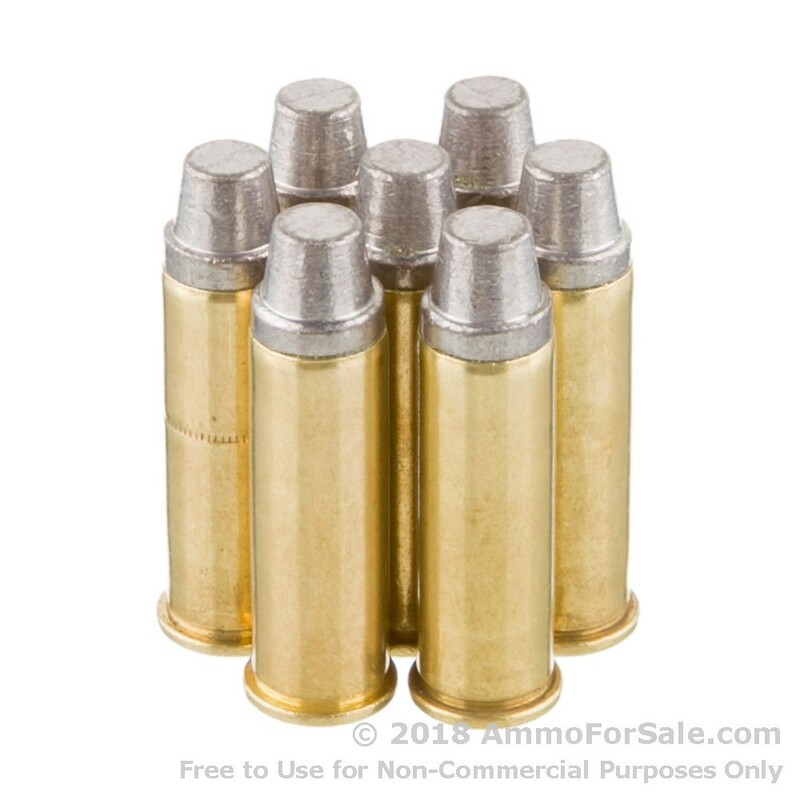 This ammunition has a muzzle velocity of 800 feet per second and muzzle energy of 225 foot-pounds. WORD OF CAUTION. This ammunition is remanufactured. 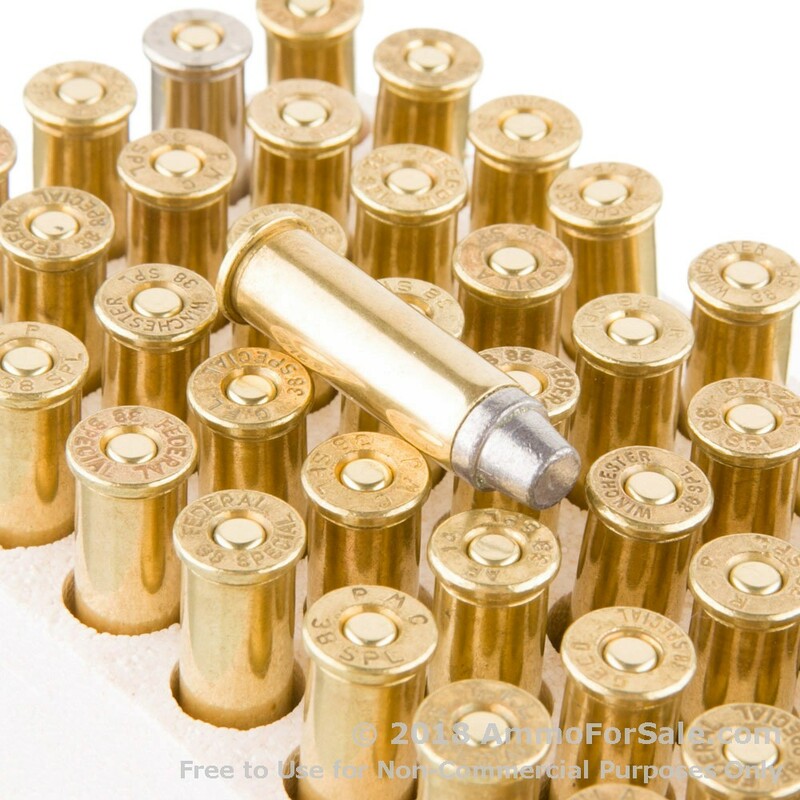 Some firearms manufacturers warn that you shouldn’t use remanufactured ammunition in their firearms, so check out your owner’s manual before purchasing this ammo. Also, remanufactured ammo may be more prone to ruptures, failures to fire, ejection failures, squibs, or other functional problems, than new ammunition would be. These issues could cause damage to your firearm or worse, severe physical injury or death. Don’t let other shooters use you remanufactured ammo unless you first make it clear that it is remanufactured.